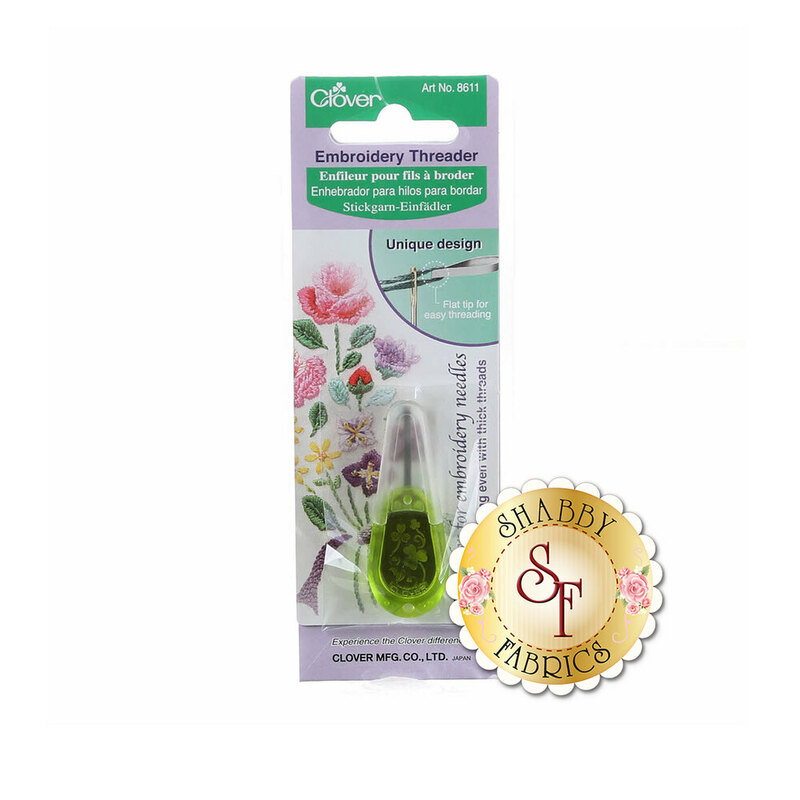 Enjoy embroidery threading with this needle threader from Clover! This threader is uniquely designed with a "Flat Tip" for simple and smooth threading and aligns the thread vertically in the thread hole, even with thick threads! This needle threader works with any type of thread, yarn, and embroidery needle.